This video and post originally appeared on Today.com on February 6, 2019. Read and watch the original there. Caring for an aging parent or a loved one who is ill or disabled requires a lot of time, as well as physical and emotional energy. What’s the right way to approach it in a manner that is kind, yet also considers the needs of the person who is doing the caring? The topic has been in the spotlight since the husband of B. Smith, Dan Gasby, opened up about his relationship with another woman as he cares for the famed restaurateur and lifestyle guru amid her ongoing battle with Alzheimer’s disease. People now live longer than ever, while nursing homes are expensive and isolating, so the need for caregivers is expected to increase and, in many cases, will fall to family members. All too often, it will leave families stretched thin and carers sacrificing their own health in the process. So as baby boomers age, they will also need to take caring for their loved ones into consideration. “There are all kinds of people suffering as caregivers. It is heroic work 24/7. They get sick, they get depressed,” Shriver said. Across America, family caregivers help parents, spouses, children and adults with disabilities to live independently. They prepare meals, manage medications, drive to doctors’ appointments, help with bathing and dressing, perform complex medical tasks and more — all so loved ones can live at home. In fact, seven in 10 older Americans will need long-term care to help with everyday activities during their lives, according to the U.S. Department of Health and Human Services. 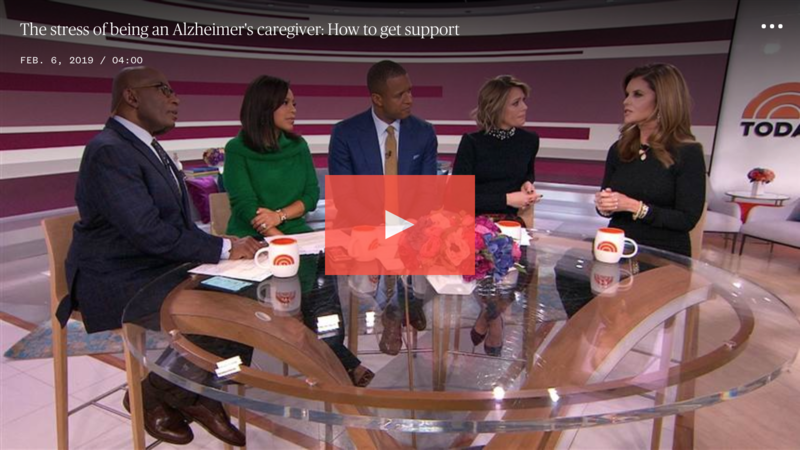 Of the 16 million family caregivers, almost 60 percent suffer from high emotional stress, and 40 percent suffer from depression, according to the Alzheimer’s Association.